“At the age of 6, my son knows when he has to take what medicines. He knows when he has his chemotherapy cycles. But what he doesn’t know is that he has a deadly disease that is killing him every moment." Dipanjan falls down even if he tries to take a few steps. His lower body has turned numb after severe pain due to cancer. His father holds him close and stays near him to support him. He had to quit his job to be near his little boy. With no income, this father lives in constant fear of losing his son to cancer. When Dipanjan was just 3 years old, he complained of severe waist pain. Instead of reducing, his pain spread across his lower part leading to numbness. He used to cry day in and out in pain. What his parents thought to be ‘growing pain’ was actually something else. The doctors told them that their baby has acute lymphoblastic leukemia, a severe form of cancer. 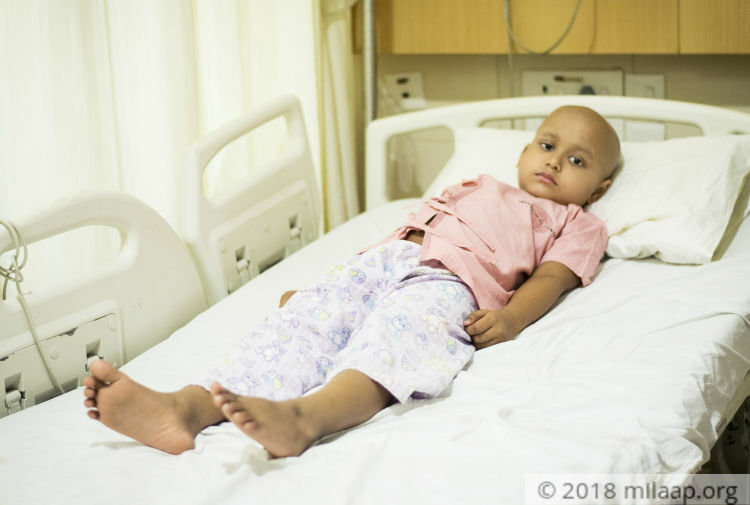 His parents Sudip and Anjana even have moved from their house in Krishnaganj, West Bengal, to Kolkata so that they can rush their son to the hospital whenever needed. 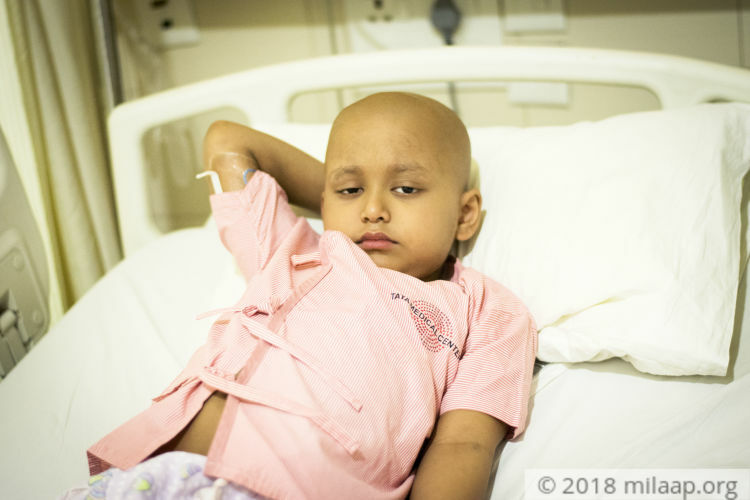 Dipanjan underwent chemotherapy from 2014 to 2017. 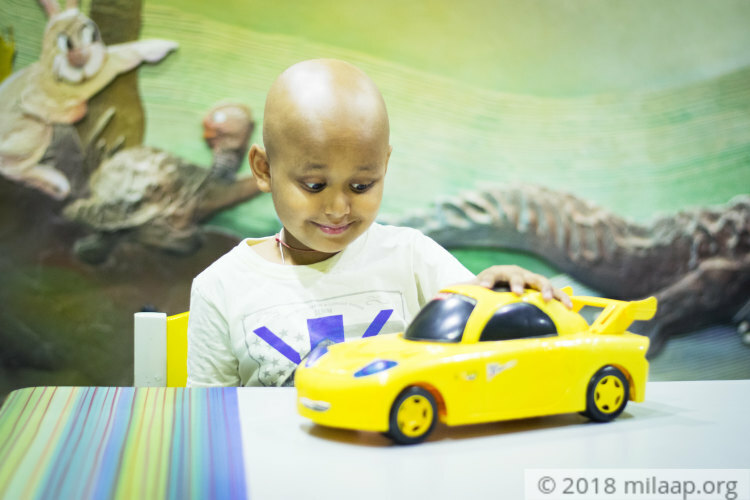 After undergoing rigorous, painful chemotherapy and medication for 3 years, the parents’ happiness knew no bounds when they were told that their child is cancer-free. Little did they know that their happiness will be so short-lived. “In February, this year, Anjana and I took him for his regular checkup. To our horror, his cancer was back threatening to take our child away from us again. Since last Saturday, he is admitted to the hospital again with a very high fever. His pain and numbness in the lower body never go away. "- Sudip. Cancer has taken away the normal life that a 6-year-old should have. What cancer couldn’t take away is that smile and playfulness on his face. It kills his parents to look at him in this condition. Anjana hides her tears so that Dipanjan can be strong and fight cancer. Without chemotherapy, he will not survive." Sudip was working in a supply chain management firm until he quit in February. When Dipanjan’s condition deteriorated, the back and forth from hospital to home could also kill him - so this father did not have any other choice but to quit and move to Kolkata from Krishnaganj where he worked. Now without income, every day has become a struggle. 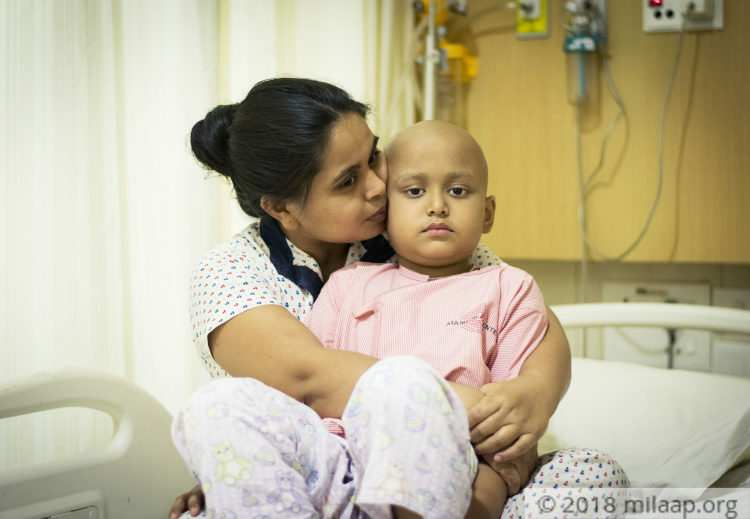 6-year-old Dipanjan is suffering from blood cancer for the second time. His parents have done everything to keep him alive for 4 years now. They have spent everything they had and are in debt now. 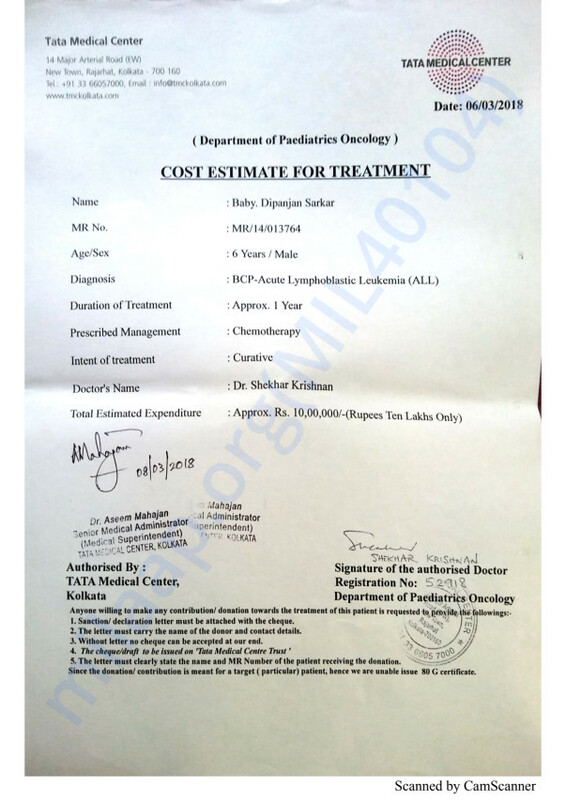 The cost required for his chemotherapy now is Rs 10 lakhs and without support, he will not make it. 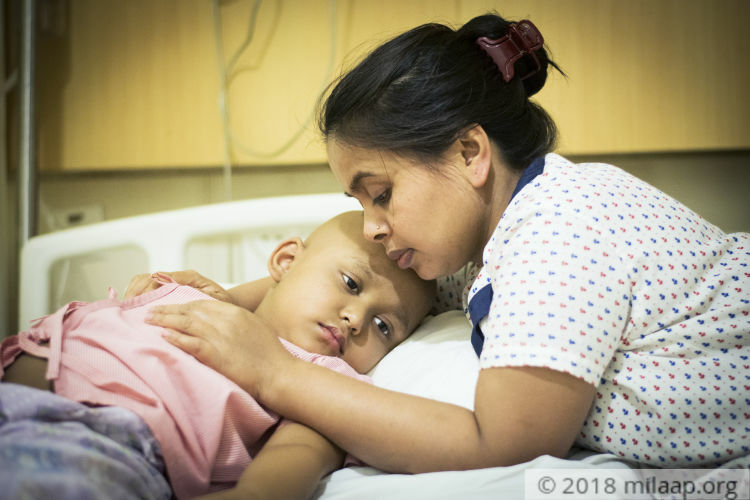 Your support can help this child be cancer-free. Dipanjan's health is okay now. He is getting better. Currently, he is undergoing the fourth protocol of chemotherapy. We are all hopeful about his health. Once the chemotherapy treatment gets over, the further course of action shall be decided by the doctors, depending on his response. Thank you everyone for being so supportive. We shall keep you posted. 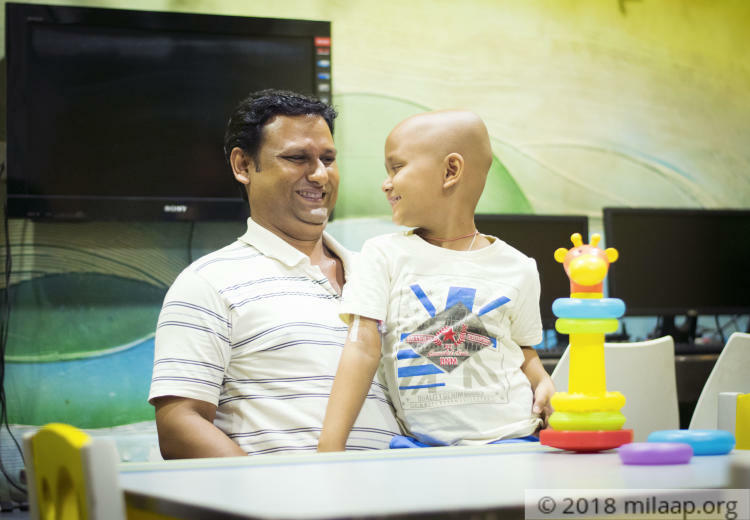 Dipanjan is undergoing his third cycle of chemotherapy. He has responded well so far but there were few side effects such as fever and diarrhea. Doctors have suggested he may also undergo maintenance therapy.